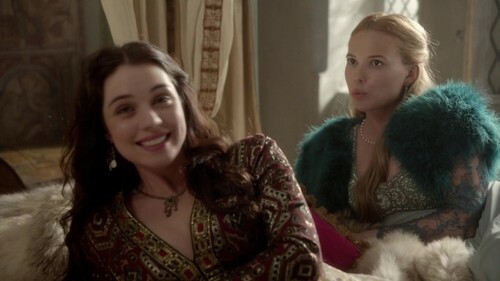 Reign screencap. . Wallpaper and background images in the Reign [TV Show] club tagged: photo screencap. This Reign [TV Show] photo might contain abrigo de piel, cuello de piel, acento de pieles, acento de piel, and piel de abrigo.